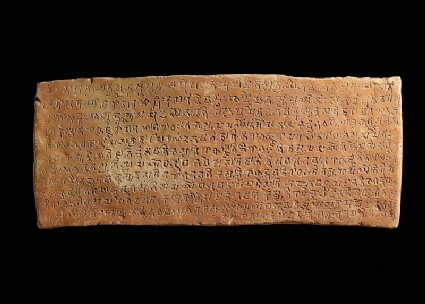 One of several inscribed bricks discovered in 1896, it is incised with Sanskrit text in the Gupta script. This Buddhist Sutra examines the twelve links in the chain of causation from which all suffering arises. When these causes are removed, suffering also will disappear.